Lately I've had a really hard time getting into a lot of books, and I just can't seem to find it in me to continue reading a book that isn't awesome. I mean, I didn't start reading to "get through" books, I started reading to be engulfed in another person's world and writing. 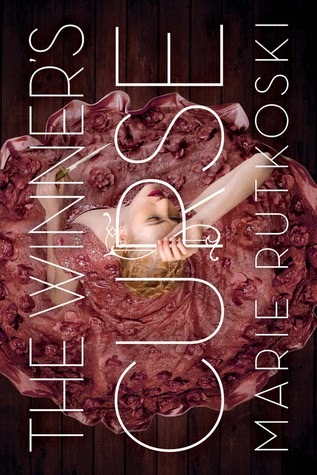 This has been especially hard after that very inconsiderate book, THE WINNER'S CURSE (description). I mean, how am I supposed to read anything else after that completely AWESOME book? I guess I know the meaning of The Winner's Curse now. I won this awesome book, but now I'm cursed with not being satisfied with other books!! It doesn't come out until March 2014 (I'm really sorry about that, world), but I can already tell you it will be on my BEST OF 2014 list. It was one of the best books I've ever read. The cover is gorgeous, the story is incredible, the romance was.....*sigh*......so good. There are plot twists, betrayals, loyalties, politics, friendships, secrets, secrets, and lies. I can't sing it's praises enough. So, just go now and pre-order, or, if you're a blogger, request this one. Trust me. You won't regret it! 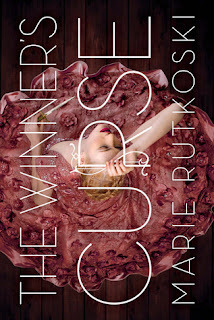 After I read The Winner's Curse, I went into a book depression. I tried book after book, including Perfect Ruin (which I did a "Read or Ditch" on), Asylum (pictures were creepily fun, but I didn't connect to the writing), Tandem (perfectly ok, but I needed more than ok), and a few others that I didn't get far enough into to count. So, finally I took to Twitter and said, "Twitter, give me something awesome!" Thanks so much to Steph (Cuddlebuggery) and Hannah (Irish Banana) for coming through. 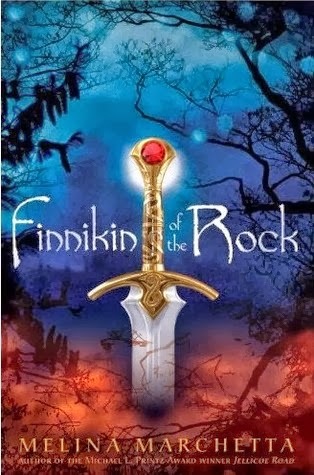 Steph knows I'm a big fan of Epic Fantasy, so she asked if I'd ever read Finnikin of the Rock by Melina Marchetta (who wrote Jellicoe Road). I actually had never heard of it, so I checked it out, and immediately bought it on my Kindle. Then something awesome happened. Because of Whispersync, I was able to also buy on on audible for $3.00!! Then I could switch back and forth between my Kindle and Audiobook and it would KNOW EXACTLY WHERE I WAS!! Sorry....I'm slightly amazed by this. Anyway, Finnikin was really good. It reminded me a lot of The Queen's Thief series by Megan Whalen Turner, which you MUST READ (my review). It was full of rich world-building and characters with so many dimensions. As this series progresses, you get to know many different characters and they're each fully realized. They have back-stories that you learn as you go on, with secrets that are revealed along the way. There are so many different plot twists, political scandals, betrayal after betrayal. The character development is unlike anything I've ever read, especially in the last book. The third book in The Lumatere Chronicles was completely awesome! I loved every minute, and there was never a dull moment. With curses, war, politics, gods & goddesses, kings who become nobodies, and nobodies who become kings, girls who have horrible things happen to them, but still manage to be the strength and rock that their people need, The Lumatere Chronicles has everything you could want in an Epic Fantasy. Many of you know that I am completely obsessed with Harry Potter. So, when I found out that Hannah had never read the series, I COMPLETELY FREAKED OUT!! She finally agreed to read the series, but I had to read anything that she told me to. 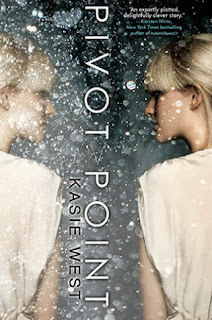 Her pick was PIVOT POINT by Kassie West. GUYS! WHY DID NO ONE TELL ME THIS BOOK WAS AWESOME?!?! I'm pretty sure I had this book at one point and gave it away. Why? Why? Why??? I really didn't know what to expect when I started reading it, and the beginning seemed cute, but simple. But, guys, I couldn't stop! I was up until 3AM reading this book because I made the mistake of starting it in the evening. For those who don't know, Addie Coleman is a Searcher, which basically means that when she has a decision to make, she can Search both choices to see which ends up the best for her. 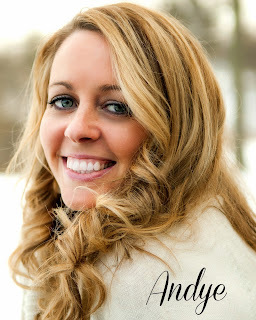 Each chapter goes back and forth between her choices (whether to live with her mom with the other gifteds, or move with her dad to live in the normal world), where she develops friendships, and romances with the different people she encounters. As we follow her lives, things start to get a little strange, and just when you think you know which path Addie should take, you realize you might have made a terrible decision. I loved everything about this book. Sure, you could probably nit-pick it apart (kind-of similar to time travel books), but if you just go with it, you will find yourself lost in this incredible story. It's funny, sweet, exciting, imaginative, disconcerting, and sometimes heart-breaking, but always completely fantastic. If you haven't read this one yet, YOU MUST!! And even though it could totally be a stand-alone, the sequel, SPLIT SECOND, is coming out soon (and I hear it's every bit as awesome)!! So, what amazing books have you read lately? And remember....I said AMAZING!! *fist pump* Hell to the yes! I'm so glad you loved PP! And I am working on HP. I'm a little discouraged with how hard I'm finding it to really get into this book. Thanks so much, Hannah!! You have earned my trust! These are two books I really really need to move up my TBR list - I've heard so much good about both of them, especially Pivot Point! And Split Second will be here soon! If you haven't already, you absolutely MUST check out Unbreathable by Hafsah Laziaf. Amazing amazing amazing. That book had my feels all up in arms! Also, Some Quiet Place by Kelsey Sutton. So incredibly unique. Those are two of my top 5 books of 2013! Oh, good! I actually have Unbreathable but was afraid I was in too picky of a mood right now, and I didn't want to judge it based on that! I'll start on that one next! Thanks! Glad Pivot Point worked for you-I think it's fabulous and am interested to see how the sequel turns out. I heard that Just Like Fate was kind of similar. I'm hoping to get to that one at some point. I need to read both of those soon, after I manage to get my hands on them. They sound sooo good. As far as awesome books go, I just finished Gravity by Melissa West and L-O-V-E-D it! Oh, cool! I haven't heard of that, I'll have to check it out! Thanks for the rec! Thank you so much for your recommendations! I am going to check out Finnikin because it seems interesting. No, I haven't read anything by Richelle Mead yet! I know, I'm slacking!! Do you have to have read Indigo Spell before Fiery Heart? I keep thinking I will pick up Vampire Academy and start reading them all, but I keep putting it off. Maybe now that there's a movie I'll actually do it. If you like stuff like Finnikin, make sure you check out The Demon King by Cinda Williams Chima. It's incredible! Hope you like Finnikin! !